Description Impasto oinochoe with a trefoil spout. From the low ring base, the body flares outward to its widest diameter at the belly then tapers inward, approaching the neck, forming a rounded, spherical shape. A wide, low-raised band encircles the vessel at the juncture between the neck and body. From the band, the neck tapers in diameter as it approaches the spout. 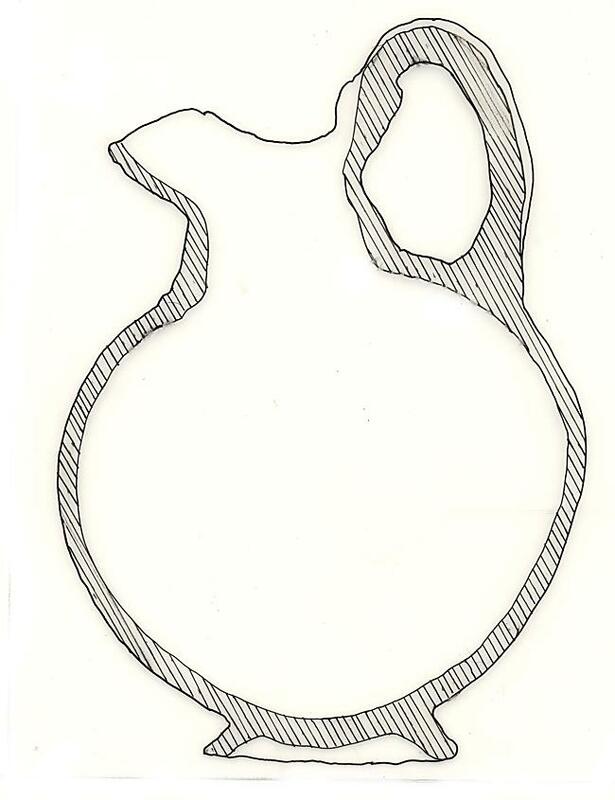 At the juncture between the neck and spout, the lower spout flares upward in a trefoil form. Nearly all of one lobe of the spout is missing. The back of the spout consists of a broad, vertical plane, the upper edges of which display sharp protrusions at either side of the handle attachment. From the attachment point to the spout, a double rope handle rises slightly before turning downward to a lower point of attachment at the upper shoulder. The body of the vessel does not rest squarely on the ring base, causing the vessel to tilt slightly forward.